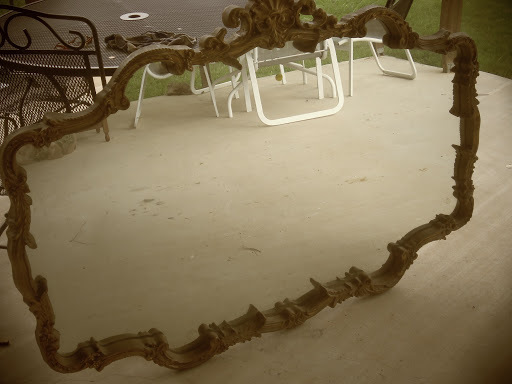 If you have been reading my blog for a while, you may remember that I found a huge vintage gold mirror at a garage sale for $10.00. I was amazed that we found this in August and it has been sitting in the Garagemahal since then. I really didn’t have a home for the beauty but I knew it was too nice to leave behind. 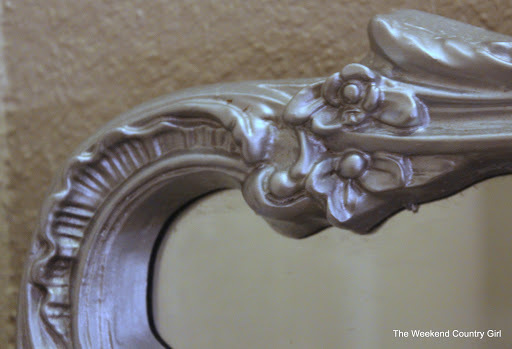 The Southern Belle said she wanted the mirror and I was thrilled. 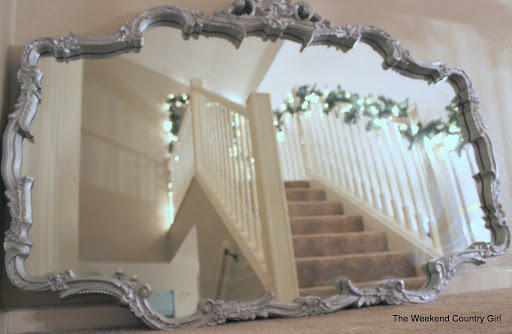 She wants to replace the less than amazing mirror in her bedroom. Her furniture is solid wood, nice furniture her Me Mei bought for her bedroom 23 years ago. She painted the maple, much loved, furniture white recently. (We really are related!) The mirror to the set is nothing spectacular and really small. 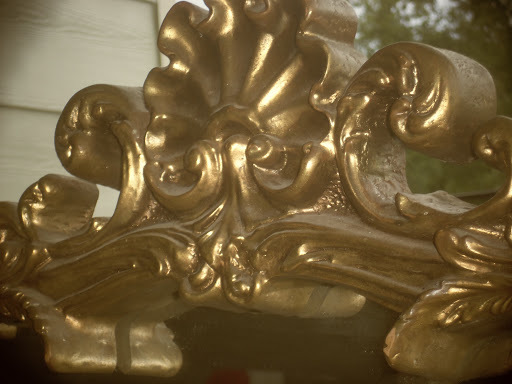 All the metal in her home is silver including her dresser pulls, so the gold would not work. 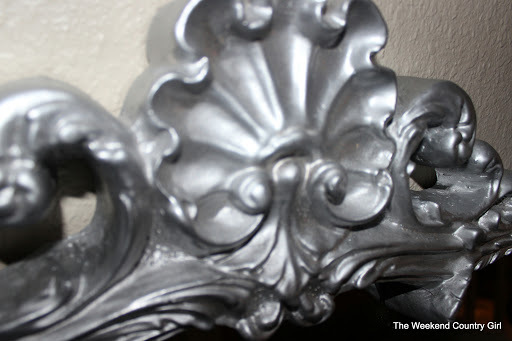 Two coats of Rustoleum shiny silver spray paint and a tube of Rub n Buff later, it looks amazing. I really like the way the mirror turned out. The Rub n Buff on the outer edges really adds depth to the frame. It is going to look great in her chocolate brown, tan, and white bedroom. 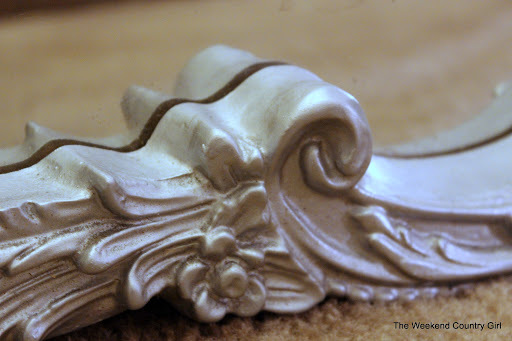 The big mirror will add some contrast to the rustic fabric of the headboard. I think it may have to wait until it gets driven out in June because her SUV may not hold it, but we will see. Hubby measured the mirror and it is 58 1/2 inches by 39 1/2 inches. We will make sure to take pictures when it is hung in The Southern Belle’s home. How it looked when we brought it to the Garagemahal. The mirror came a long way.